To those who think that “Crazy Rich Asians” is overrated, maybe you should consider watching “To All the Boys I’ve Loved Before” instead. It is said to be the best rom-com of all time! The film was released last month on Netflix. Ever since their debut, everyone is just so crazy about it especially among the millennials. Wondering what is so special about the film? The author of ‘”To All the Boys I’ve Loved Before” novel, Jenny Han got her inspirations from her own life experience. As a teenager, she has the habit of writing long love letters to all the boys she used to crush on. She then put her own life story into her books. There are two sequels to this novel. The second book is P.S. I Still Love You and the third book is Always and Forever Lara Jean. Do you know what that means? There might be a sequel to the movie! Who is this hot stuff? We can see why people love this teenage rom-com film especially millennials. As a teenager, we’re pretty sure some of us may have crushes on people and we can never tell them how we feel about them. Back to the first reason, we know that the movie was adapted from the best-selling book but, do you actually know that the novel was inspired by the author’s life? As a teenager, Jenny Han used to write long love letters to the boys she used to have crushes on. Cute isn’t it? 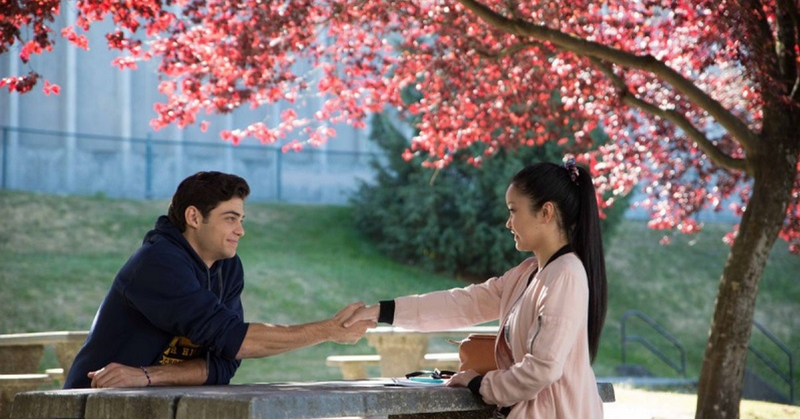 According to Rotten Tomatoes ratings, “To All the Boys I’ve Loved Before” holds the rating of 96%! That’s a lot. Not only that, almost everyone is watching this film and they are just as crazy about it as much as we are! If you haven’t got the chance to watch this Netflix film yet, give it a try. This is not just another boring romantic film. Trust me, you are going to love it!